Our comprehensive approach in Port Jefferson to landscape architecture and construction delivers extraordinary landscapes for our clients. Our three branches are all committed to delivering amazing customer experiences with an incredible attention to detail seldom found in the landscape industry. We'd love to speak with you about your project. 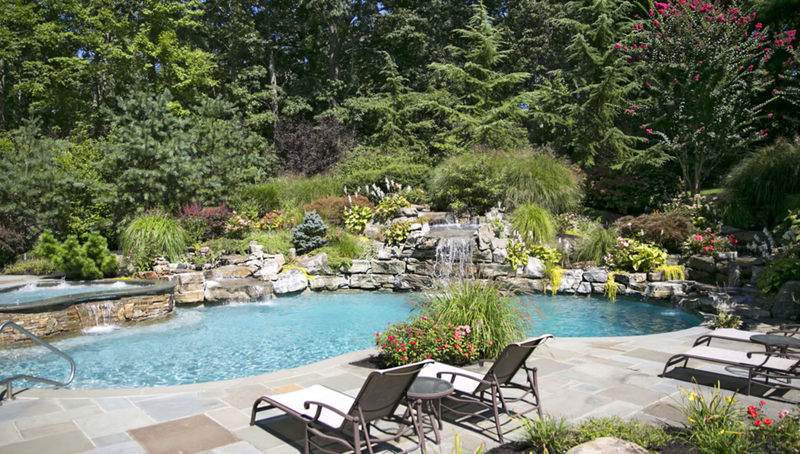 Thinking of starting a swimming pool project for your Port Jefferson, NY, backyard? The wide choice of construction materials and techniques for backyard swimming pools can often be quite bewildering. However, many professional pool builders consider gunite as the go-to material for constructing swimming pools as it ticks all the right boxes for an exceptional final product.